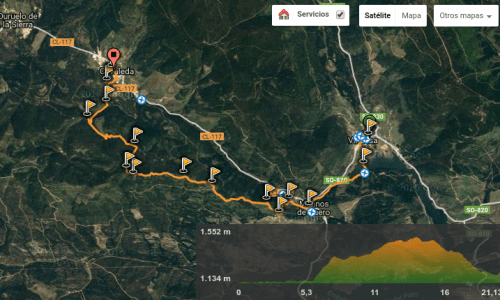 Vinuesa and around there are plenty of trails for trekking or homologue of two wheels “Mountain Bike”, since practically all the routes described can be made with the bike with some qualms about the Pico de Urbión but doable for the most adventurous. Here you have a sample that we extracted from WIKILOC but keep in mind that this portal or similar able to have more information even as we told the information is extensive. We hope you enjoy this wonderful environment. 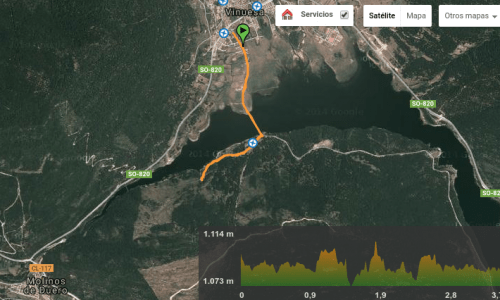 It is a quiet route along the track that goes around the swamp to reach the ruins of the village of La Muedra gone through the swamp, the return is done by an inside track of Mount Vailengua up to the hermitage of San Mateo and return Vinuesa. 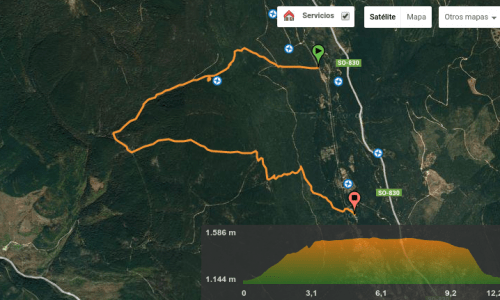 Vinuesa route begins in the ancient Roman road of the old road to Molinos de Duero and goes to the Andadera in Covaleda stone after run along the left bank of the Duero. 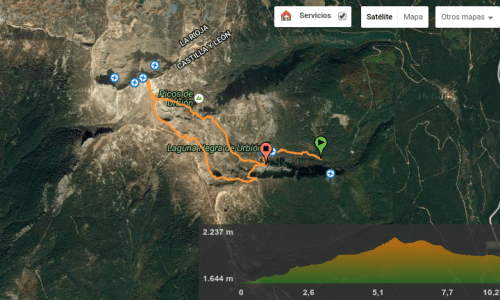 Departure from the lower parking barrier or from the black lagoon, waterfall and climb up the peak of Urbión. On the descent it goes around the roped to the diversion of the frozen lagoon and continues to the viewpoint of the lagoon. 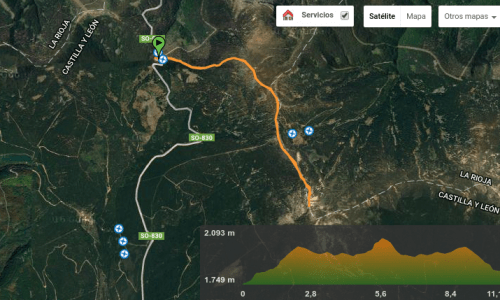 Departure from the track Raso de la Huerta very close to the Ranchales and finishing on the Aula del Bosque, in between we pass the viewpoint Women Cave has one of the most spectacular views of the Pinares area. Simple route to the Source of Salobral or rotten eggs.